Multi-level construction removes & traps dirt & moisture. Preventing dirt from being dragged into the workplace on the bottom of shoes is important. When the weather is bad it is easy for footwear to pick up and bring in dirt from outside. 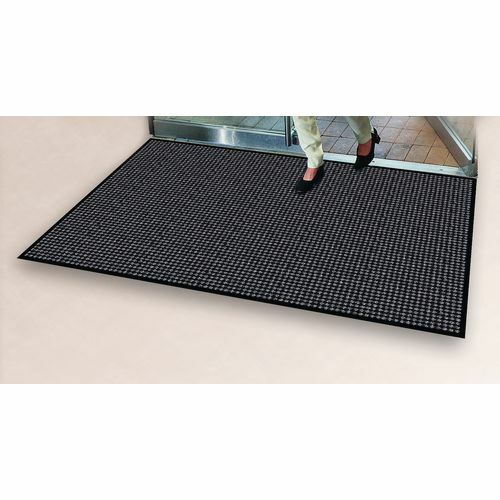 Our prestige entrance matting will prevent soil and other debris from distributing on a workplace floor. 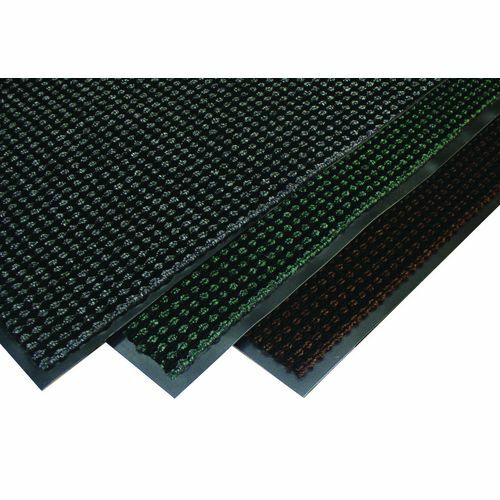 They have an elegant sculptured surface and multi-level construction which removes and traps moisture and dirt. 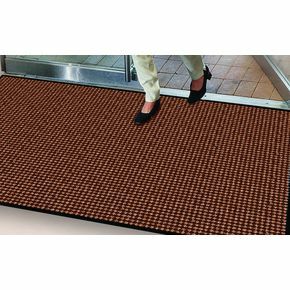 Slip resistant vinyl backing keeps the matting in place in the workplace, meaning they won't be a slip hazard for those travelling over it. The 100% Olefin fibres offer stain and fade resistance to keep this product durable and provides it with longevity. There are three colours to choose from; chocolate, emerald or granite and there is a choice of three sizes, W x L mm; 600 x 900, 900 x 1500 or 1200 x 1800. 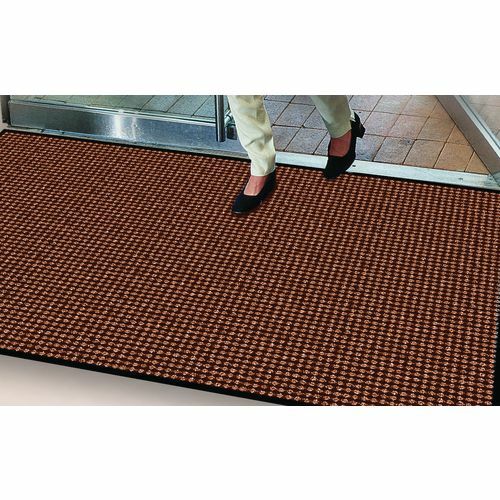 Our prestige entrance matting is a great addition to the workplace, helping to keep your workplace floors clean and tidy, and they come with a 12 month guarantee.